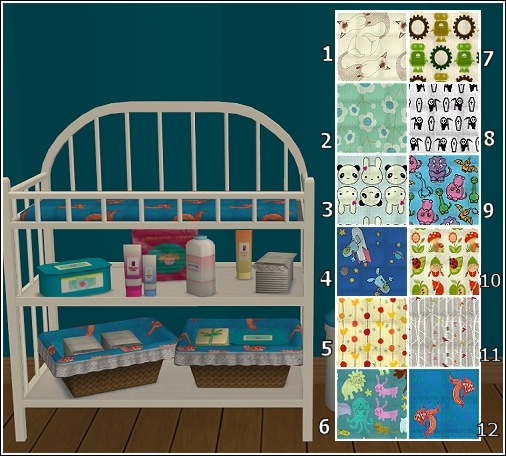 Various collection of baby changing tables. Files are named to match the numbers in the preview above. 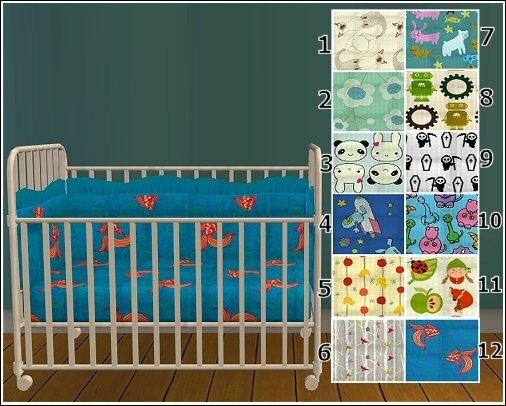 Various collection of baby bedding. 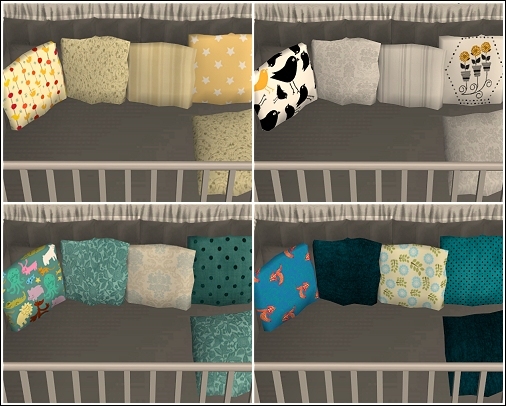 Files are named to match the numbers in the preview above so you can easily only grab the ones you like. 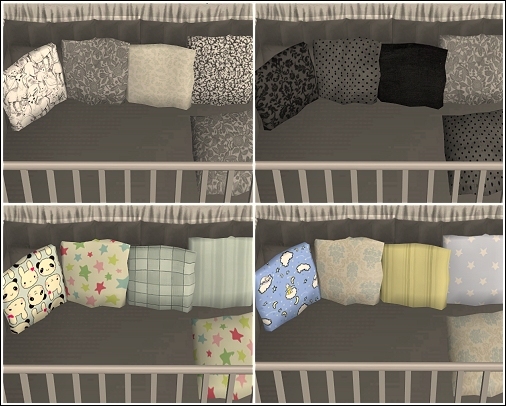 Baby bed pillow recolors. 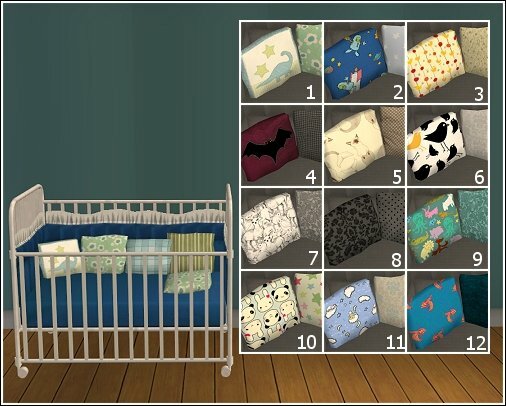 Files are numbered to match those in the preview. 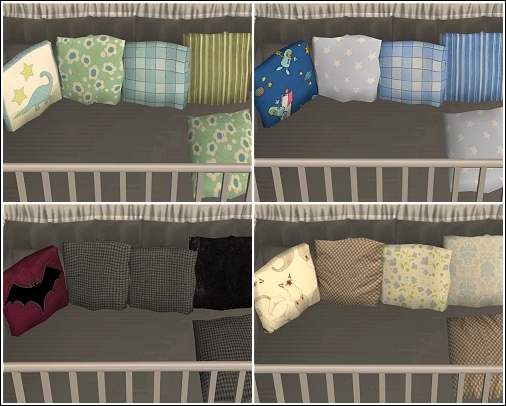 Pillow mesh is by mirake and is included since I edited the object to show up under misc - children.